If you would like to track when families or students need to submit payments for their account charges, you'll want to try out the Due Dates & Payment Allocations system. As the name suggests, these options allow you to assign a due date to a specific charge or invoice and then assign specific payments or payment amounts to the charge so as to balance the account. 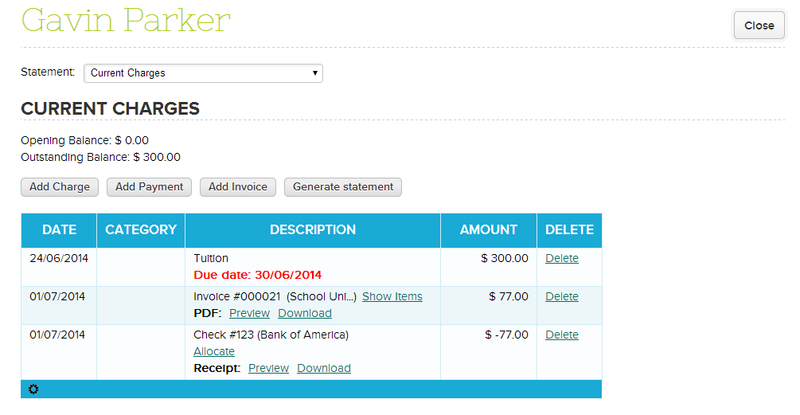 Just make sure to check off “Turn on fee deadlines & payment allocations”, and you’re all set. IMPORTANT: It’s important to note that once you turn on this feature all payments will need to be allocated to a fee/charge (otherwise the system will warn you of unallocated payments). 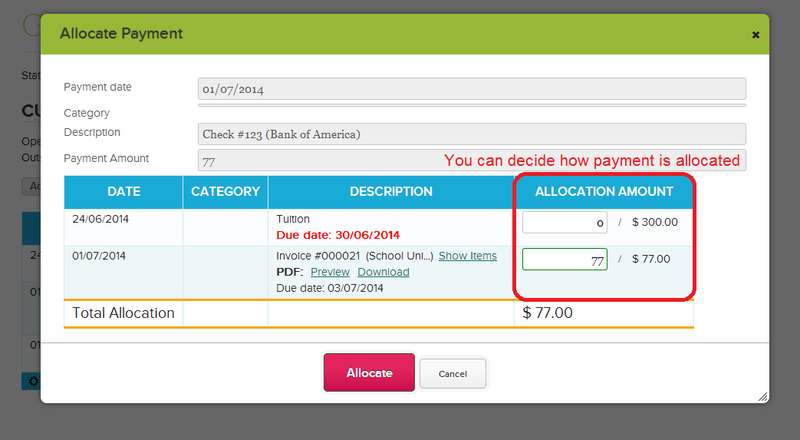 So for those who have been using the Fee Tracking module for a while, it can be difficult to transition to this new method. Please contact our support team for more info.